Character design tutorial pilot. Here is another digital painting tutorial on how to paint a character using Photoshop and Wacom intuo tablet. 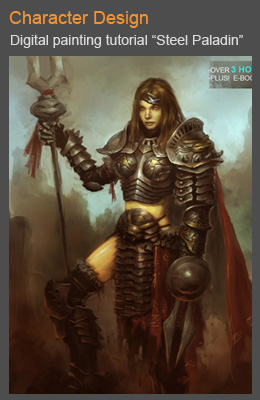 Learn to paint character design, pilot, step by step images with instruction. 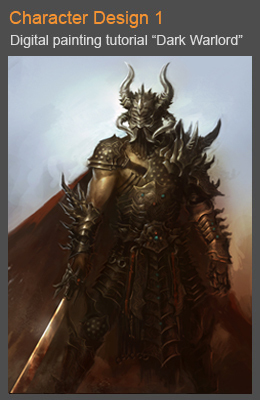 You will learn how to paint a realistic character design. This character is inspired by Metal Gear Solid in some way. This is part of a project I did for my client, he is part of a military ops. I don’t usually get sci-fi assignment so this one is quite a challenge. I have to look for a lot of references before I get into the design. 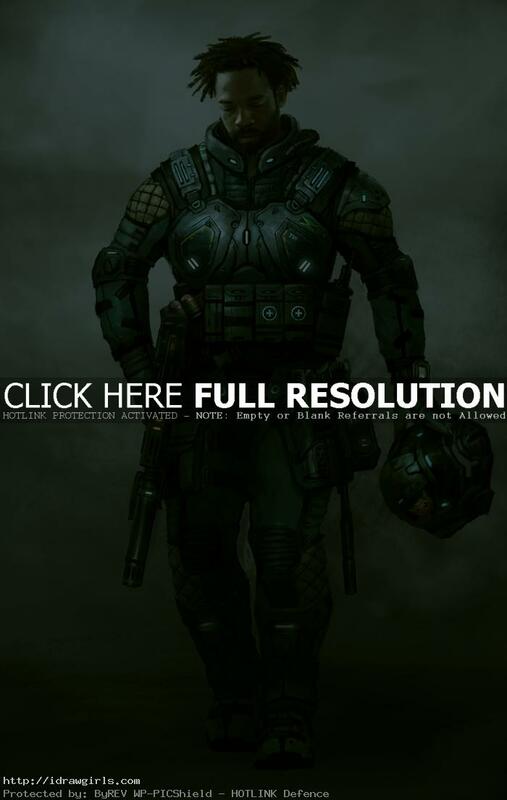 For this, I look at real world military gears and robotic technology. I then combine the two then add my artistic style onto it. Here is a final character design for the pilot. 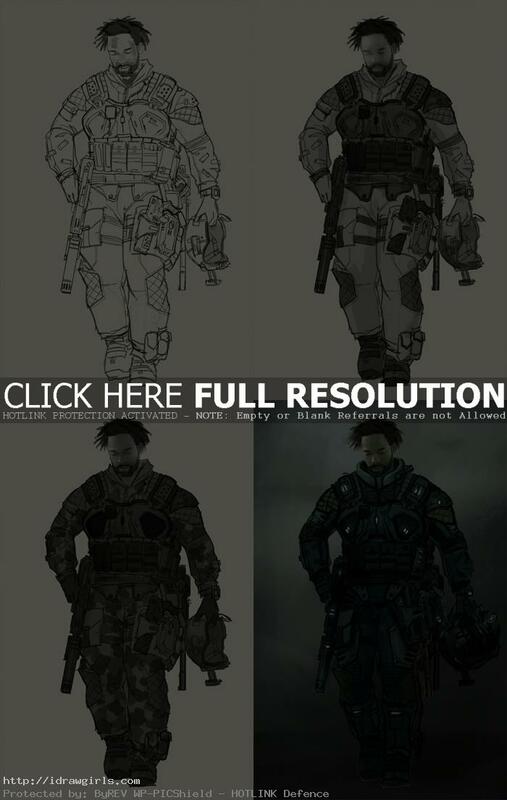 Below are step by step painting process of a pilot character design. Step one, I already have a drawing for the character. Step two, I painted gray scale value onto the figure and background to establish base value. Step three, I add dark to medium gray camo pattern on his coat and part of armor. Step four, I then has two to three basic value so I paint color base on top of the existing painting. Step five, I paint detail on his face and clothes. At this point, it is still in the middle range value. Step six, I painting every part according to the light source from top. Final step, I found a few hot spot to add final lighting onto the figure and painted part of the background. Done!